This weeks lesson I’m going to start of with tips, tools & shopping for colors before we get into the nitty gritting of exploring colors and creating moods. 1. Pegs .. Pegs .. Pegs are my number one top tip. 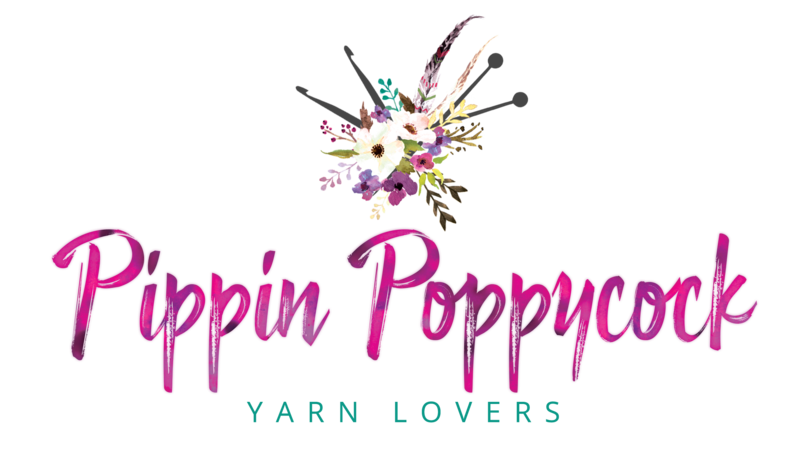 If you have a favorite yarn that you keep going back to then start a color peg collection.. They are easy to make and can save you a whole lot of time guessing, especially if you rely on ordering online (like me) you may have guessed my favorite yarn to work with is Double Knit (DK, #3) but unfortunately the US doesn’t carry a great selection, it tends to be baby yarn and in limited pastel colors. Also colors vary on screens so you dont get the “true” color. Not only that you can mix and match pegs, giving you a better idea on how they look next to one another. If you dont fancy making them then there are etsy sellers that sells them in sets. 2. Another great tool is Brand shade cards. Most yarn manufacturers will have shade cards to purchase. These too are a great alternative to pegs. 3. Paint cards are a another ulturnative to the above, these are free at your local paint store. They may not be yarn but they will give you an idea on how colors look together. Select your colors using paint card then take them along with you to the yarn store and match to the nearest colored yarn. And back to reality.. and the reality is how can one possibly choose… here are a few of my pointers to help. 1. Always go with a list. Have your planned patterns jotted down, how many colors, and how many yards/meters needed. 3. Most yarn/craft stores will have a table located somewhere or a classroom. Don’t be shy, ask to use it. Shop assistants would prefer you to ask rather than you lay your choices out on the dirty floor (I’ve seen this done). That way you can place your choices out next to one another. Play with your colors, take your time (just don’t take the hubby and kids with you), and most important don’t buy until your happy. This will save you having to return any unwanted items. Now we have the tools and shopping squared away… let talk moods & color selecting. I often get asked..very often.. What app I use to create my mood boards.. I don’t. I don’t use any app, there are many app out there that will take your image and convert it into colors and they are great tool, as with the paint cards you can upload your image let the app do its thing and you can take the results along with you to the store. So I have my pattern and I want to create a colorway to match this picture, My Aunt loves gardens and the project is for her. 1. Focal Colors: Close your eyes.. and take a deep breath.. (the breath is not apart of the process but we all need to stop and breath sometimes). Open and whats the 1st thing your eye is drawn too…. Me it was the roses. The deep pinks caught my eye first so this will be my focus point, now look and see what other colors you see in the roses… a pale pink, and a pastel pink. If you are doing a pattern that has a motif or a focal center, then these would be the colors to use. 2. Accent colors: What other colors pop at you. The lavender! I see two shades of purple. These would be my accent colors to work in small amounts alongside my focal colors. 3. Background colors: look at the picture again, what colors are hiding behind your focal and accent colors… Whites and Greens. These I will use as my background colors, and would be used for squaring off motifs and borders. Now this is where you’re pegs, shade card or paint cards comes into play. Now you didn’t think I was going to show you how I made my digital mood boards did you 🙂 That’s is a entirely different post.. which involves some computer skills.. perhaps one day.. But a neat trick is to save your image and snap a pic of you pegs , upload them to a simple collage marker app… Ill talk a little more about photo apps in next weeks lesson. What do you see? How many colors do you count? Moving around the picture clockwise note how many dominant colors you see. Now name name those colors..
3. A light orange almost apricot color. Now here I haven’t used my my pegs, I went straight to my online retailer and started picking and adding them to the cart. Trying my best to match the colors..
Now your home work assignment this week is .. Now pick a picture that you want to match and create your own mood board or describe 5 colors in the picture Post your homework to the pinned post over in the the Pippin Crochet Club.. can you guess what this weeks giveaway is. Great advice Emma! I use and refer people to your mood boards regularly. Aren’t those just clothespins that you can buy at Walmart?